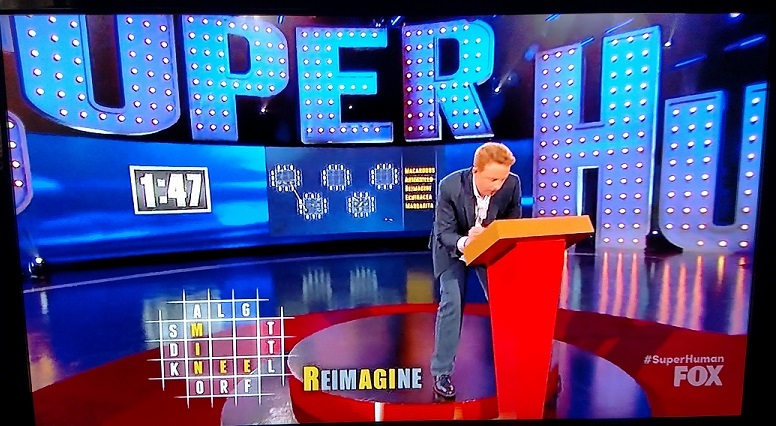 Superhuman is a television show on FOX that combines elements of game shows and talent shows, wherein people with exceptional mental abilities are tested on the air, competing for a $50,000 grand prize. 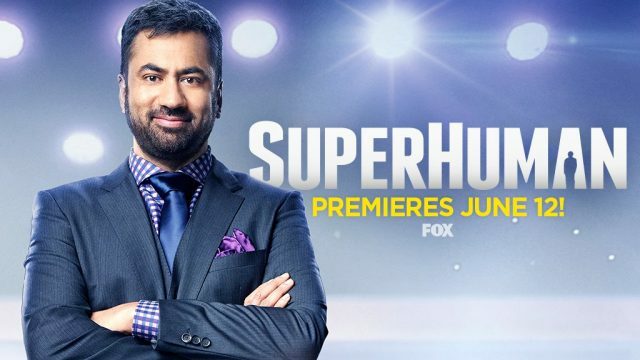 Actor Kal Penn hosts the show, and the three panelists who comment on performances and help choose the winner are boxer Mike Tyson, singer Christina Milian, and neuroscientist Dr. Rahul Jandial. 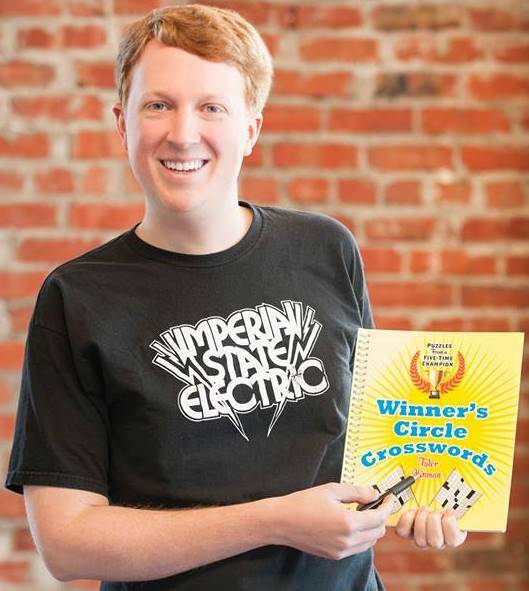 And on last week’s episode, “All Parts Extraordinary,” a face familiar to puzzlers and crossword fans appeared on the show: Tyler Hinman. The former 5-time American Crossword Puzzle Tournament champion was pitted against four other contestants with impressive mental abilities. Chris Authement, a math whiz, was tasked with adding up all the pips on giant dominoes as they fell, correctly counting 535 pips in the time allotted. Tatiana Marquardt, a mother of three with impressive memory recall, was tasked with memorizing five days of scheduling for three different kids. Each day had four activities. The judges then randomly chose a child and a day of the week, and she had to pack their backpacks for each day’s agenda. And she nailed all three days. Dave Farrow, a computer scientist with a focus on robots, memorized a grid of 108 blue and red balloons (laid out in an 18×6 grid). Then, based on the judge’s choices, he was asked to recall the color of a particular balloon, the pattern of a particular column of balloons, and finally, a particular row of balloons. Recited backwards. And he did so. Luke Salava, a lawyer with a knack for facial recognition, had to learn the faces of 100 members of the studio audience. Then, three of those people were removed, and that entire section of the audience was reshuffled. His task was to identify the three new people in the crowd. And he did so with ease. When it was Tyler’s turn to show off his puzzly skills, he had a serious challenge ahead of him. This grid of crisscrossing 5-letter words can only be completed with the letters in a 9-letter word provided alongside the grid. But Tyler had five of these grids to solve, and he wasn’t told which of the five 9-letter words went with which grid. Oh, and he only had 3 minutes and 30 seconds in which to solve all five grids. 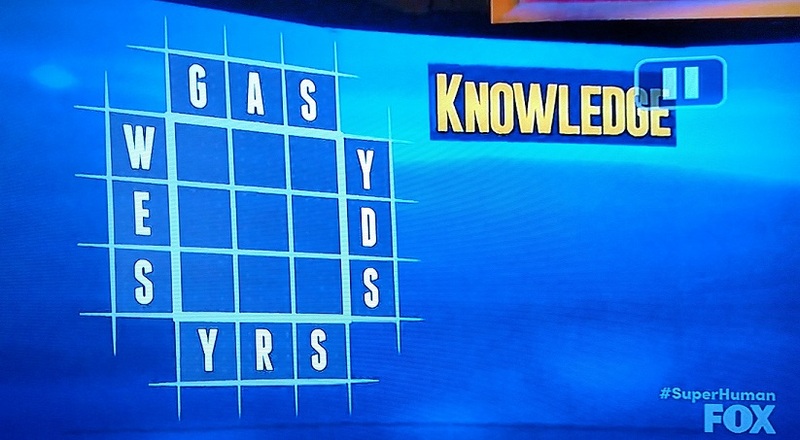 He went right up to the wire, but solved all five grids, showing off not only his deductive reasoning, but his vast vocabulary and his speed-solving technique, honed by years of crossword solving and tournament competition. After all five competitors had their time to shine, the judges narrowed the field to three: Chris, Dave, and Tatiana. And the audience voted electronically for the winner: Dave Farrow, master of balloons. Honestly, I thought both the judges and the audience picked wrong. Tyler was the only one who really had to work out his technique in front of the crowd, showing missteps and false paths that he corrected on the fly. He actually talked through the process as he solved, which to me was more engaging and interesting. Also, I can’t believe that Luke didn’t at least make the top three, let alone win. 100 faces to memorize and reshuffle in your head? That’s mind-boggling to me. Alas, such is the flying fickle finger of fate. Still, it was a strong showing for a world-class puzzler, an exhibition of puzzly talent that did not fail to impress. Three ways to TV trivia! 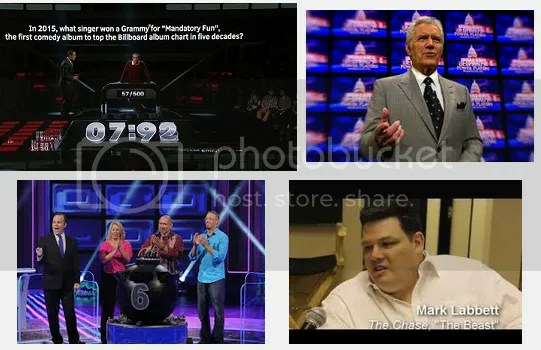 Trivia-based game shows seem to be having a bit of a resurgence these days, between ABC’s 500 Questions, Fox’s BOOM!, and GSN’s The Chase. Unlike Jeopardy!, television’s longest-running trivia-based game show, which relies mostly on the questions themselves to generate interest, this new class of game shows adds all sorts of gimmicky flair to dress up the trivia, be it pursuit by other players (500 Questions) or an in-house trivia master (The Chase) or the threat of being covered in something slimy (BOOM!). I thought I’d take a look at each of these shows from the standpoint of a self-confessed trivia fiend. 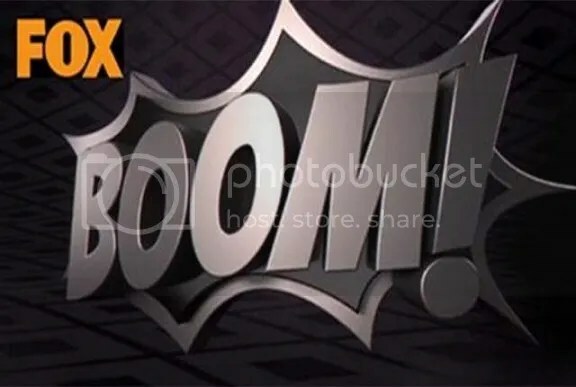 In BOOM!, the splatter appeal of shows like Double Dare is mixed with the multiple choice style of Who Wants to Be a Millionaire?, hoping to ratchet up the tension with a wrong answer resulting in some serious messes. You’ve got multiple answers to a question, and all but one of them are correct. (For instance, you’ll be given the titles of four movies, and then told 3 out of the 4 have been inspired by books.) Each of those answers is color-coded to a wire on the bomb, and the contestant must cut each wire they think is correct in the time allotted in order to defuse the bomb. If you cut all the right wires, the money for that question goes into your bank. If you get a wrong answer, the bomb “explodes” and you get splattered (there has been pesto, alfredo sauce, maple syrup, and yellow mustard), your team loses the money for that question, and you’re eliminated. When every team member is splattered, you’re done. If any member of your team survives the six trivia bombs, you go after the Mega Money bomb, which if defused will multiply your banked money by a factor of 4. A perfect run will yield $500,000 for the team. 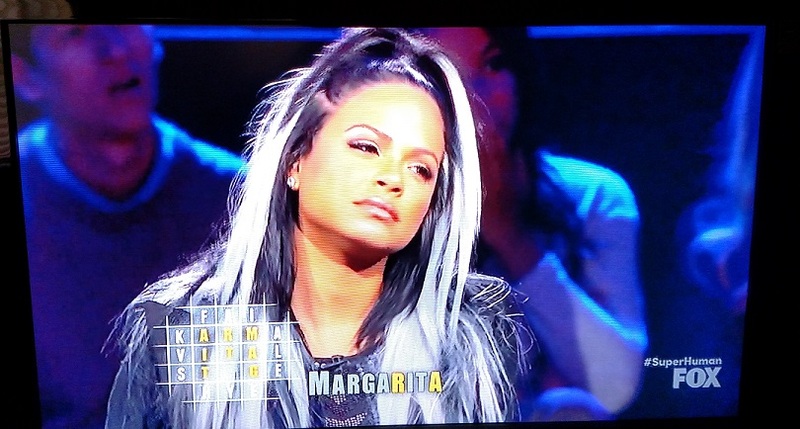 The show debuted last week on FOX. In 500 Questions, a contestant tackles ten rounds of 50 questions each. Three consecutive wrong answers will knock a contestant out of the competition (correct answers can erase one or two wrong answers). Along the way, a challenger dogs the contestant at every turn, hoping to knock the contestant out by choosing tough categories if the contestant has acquired two wrongs in a row. 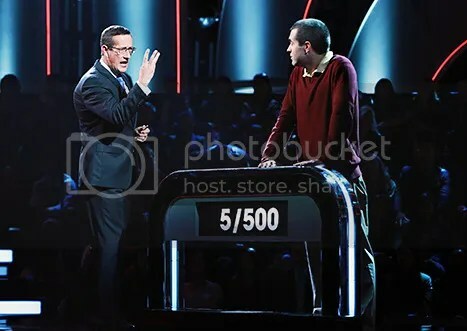 The challenger only has one 50-question round to eliminate the contestant; if the challenger fails, a new challenger emerges for the next round. For every board of 50 questions completed, the contestant is guaranteed the money earned in that round. However, any wrong answers acquired will follow the contestant into the next round. It’s worth noting that these rules may only apply during the first 200 questions. Since no one has ever completed the fourth round, there could be alternate rules or new wrinkles awaiting contestants and challengers in round five and above. The show ran for seven straight weeknights, and it’s unknown at this point if it will return. [Host Brooke Burns and trivia pro The Beast. 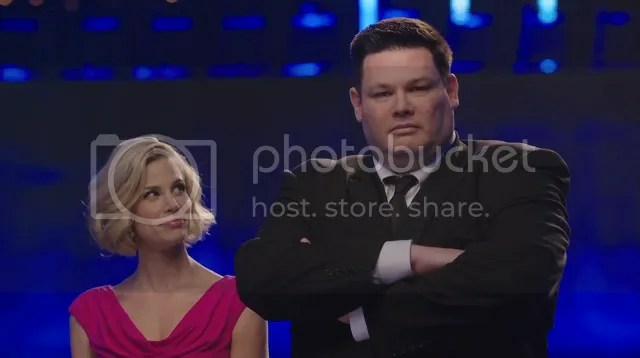 In The Chase (which is based on a British game show of the same name), a team of contestants pits their trivia wits against the chaser — known as The Beast — who is waiting to capitalize on any mistakes they make. 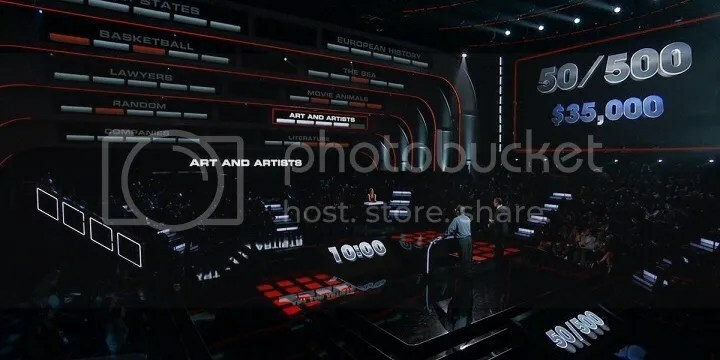 In the early rounds, each contestant faces off against The Beast one-on-one, answering a certain number of questions in a row in order to lock in their prize money and continue in the game. Any mistakes made by the contestant create opportunities for The Beast to catch them, preventing them from banking any prize money. 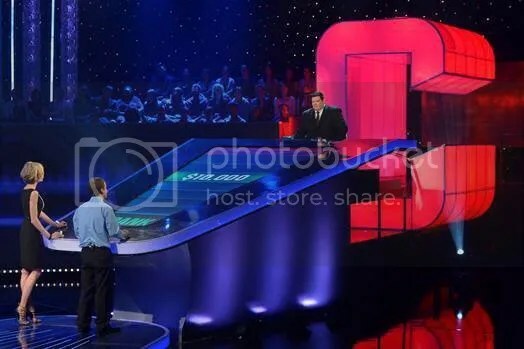 If the contestant stays ahead of The Beast by answering more questions correctly, the prize money gets banked and the contestant moves on to the Final Chase. In the Final Chase, whichever contestants survived their individual chase rounds work together to answer as many questions as possible in two minutes. They move a space ahead on the gameboard for every correct answer. The goal here is to build as big a lead as they can before The Beast takes his turn. The Beast then answers a different set of questions, with each correct answer bringing him one space closer to catching the contestants. If he answers a question wrong, the Chase is paused and the contestants get a shot at answering that question. A correct answer increases their lead by one space; an incorrect answer simply continues the game. If the contestants can outpace the Beast, they win, splitting the banked money equally; if the Beast catches them, they go home with nothing. 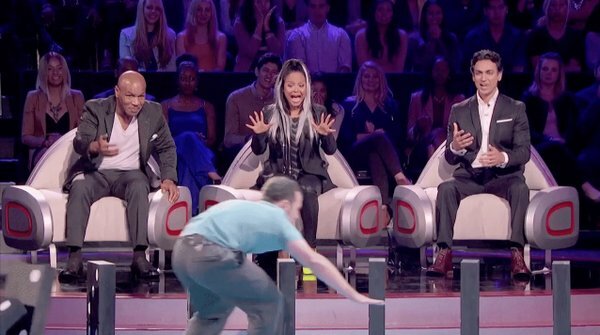 The show’s fourth season on GSN resumes on July 16. I quite enjoy The Chase, but less as a viewer and more as a competitor, since I like to test myself against The Beast. Although I tend to do well, he has bested me more than once. He is a worthy foe. Although only one episode of BOOM! has aired so far, I find myself watching it less for the trivia — which is very common sense and common knowledge, thus far — and more for whether the contestant botches the question and gets splattered. Whether that remains enough to keep me tuning in week after week… only time will tell. 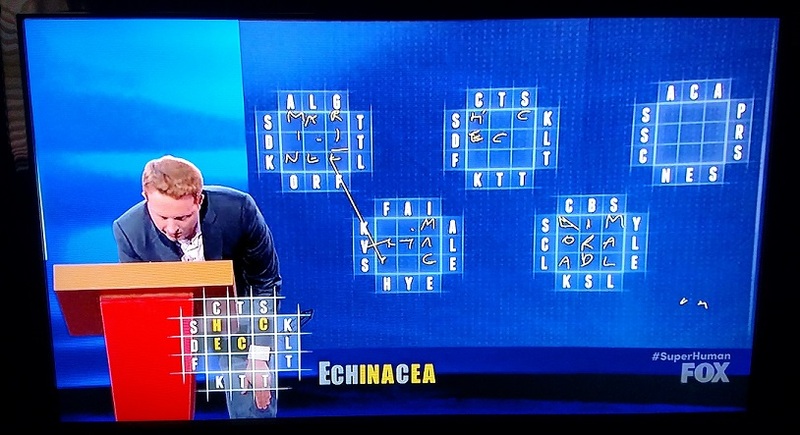 Are you watching any of these newer trivia game shows, fellow PuzzleNationers, or do you stick with the classics? Let me know! I’d love to hear from you.